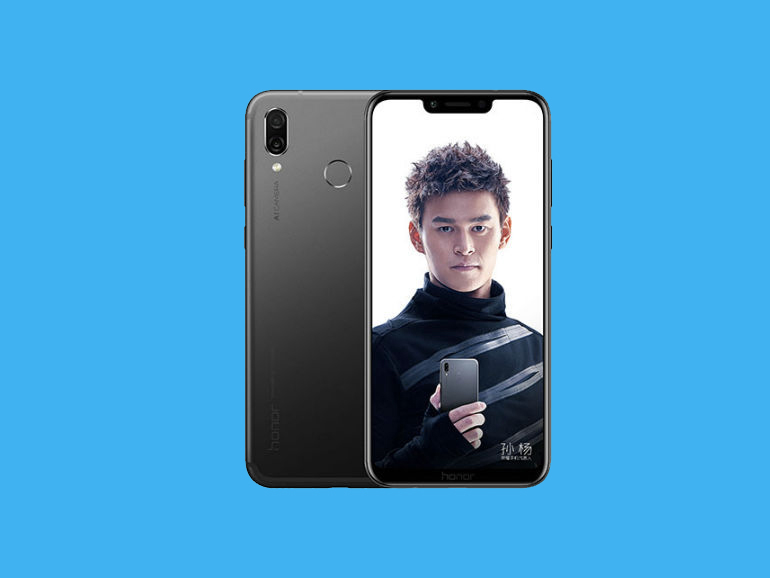 The Honor Play is officially launching in the Philippines on August 11, 2018. Priced at PHP15,990, the gaming smartphone features a 6.3-inch display, Kirin 970, and GPU Turbo. 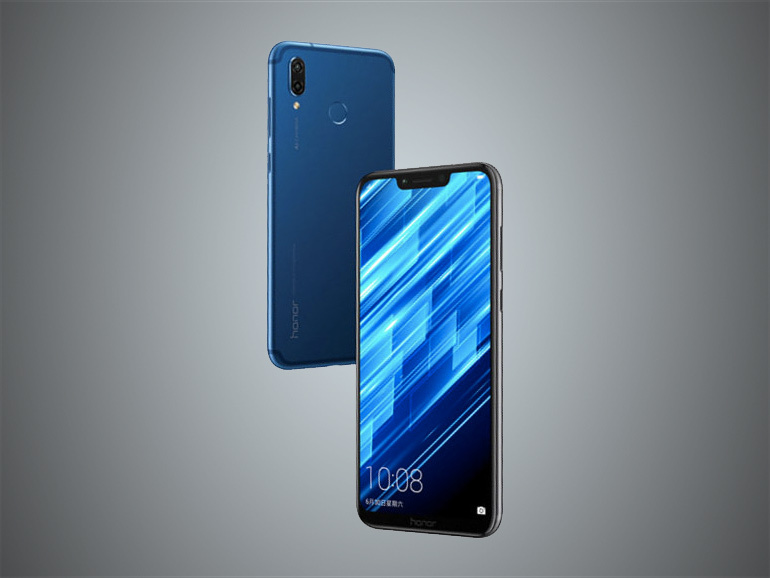 The Honor Play is billed as a gaming smartphone and features a flagship chipset in the HiSilicon Kirin 970, the same processor found inside the Huawei P20/P20 Pro. It will also feature Huawei’s GPU Turbo, a hardware and software boost designed to improve graphic performance in games. The handset comes with a large 6.3-inch full HD display with a 2340 x 1080 resolution and 19.5:9 ratio. It will also have 4GB RAM and 64GB of expandable storage. As for its cameras, the Honor Play will have a 16MP + 2MP module at the back, and a single 16MP sensor in front. Both will be enhanced by AI for object and scene recognition, as well as for AI motion detection and image stabilization. The rest of the spec sheet includes a USB Type-C port, a rear-mounted fingerprint sensor, a 3,750 mAh battery, and EMUI 8.1 on top of Android Oreo. The Honor Play will have a price of PHP15,990 with a launch date set on August 11. It will be available in Philippine stores, as well as in Lazada and Shopee, starting August 13, 2018. On August 11, 2018, there will be a pre-order event called “Game with the Brave” at the SM City Fairview. Those who want to pre-order can make a downpayment of PHP1,000. They will also get a JBL Clip 2 Bluetooth speaker, which they can claim starting August 13. 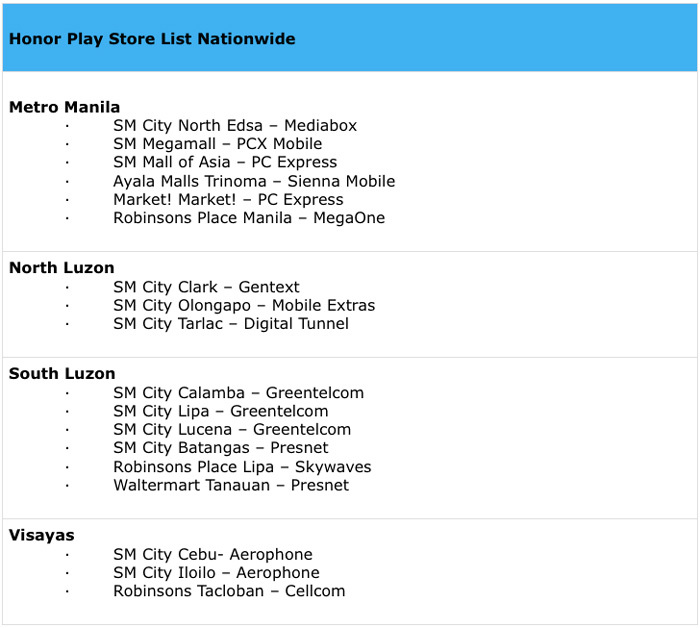 You can also visit the following stores for more details.